Our hospital is well equipped for dental procedures. These procedures include ultrasonic cleaners, high-speed drills, and digital dental radiology. 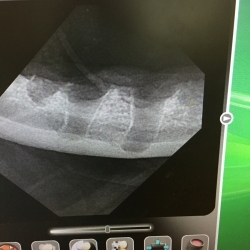 Radiographs of all teeth are vital to evaluating the health of the tooth bone below the gumline. 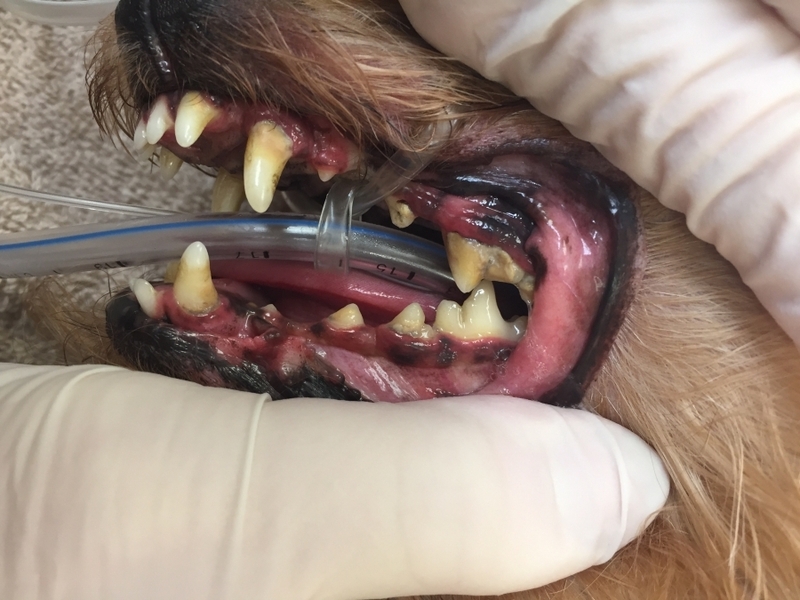 Because pets develop periodontal infections and tooth root abscesses, just like people, but cannot communicate when they have a toothache, dental disease in pets often progresses to a very serious health problem. 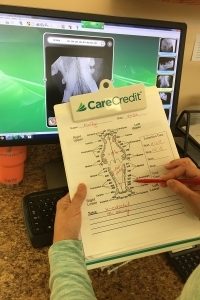 Observations are recorded on each tooth on a special dental chart. 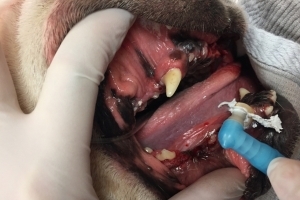 This essentially creates a map of the pet’s mouth. All abnormalities and treatments performed are recorded for future reference. 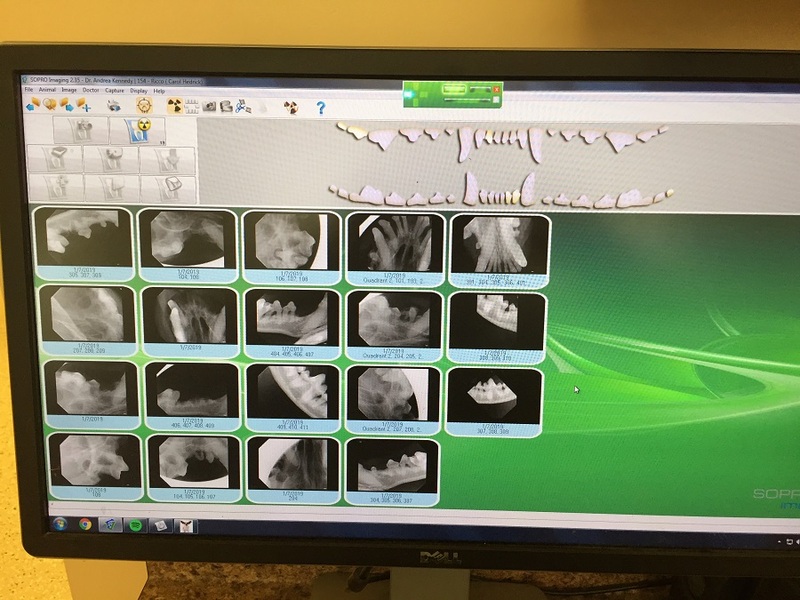 All teeth are radiographed to evaluate the tooth beneath the gums. 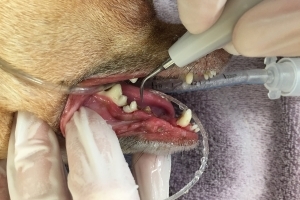 Teeth that are loose or abscessed as a result of periodontal disease can cause a constant source of pain and infection. These teeth need to be extracted. 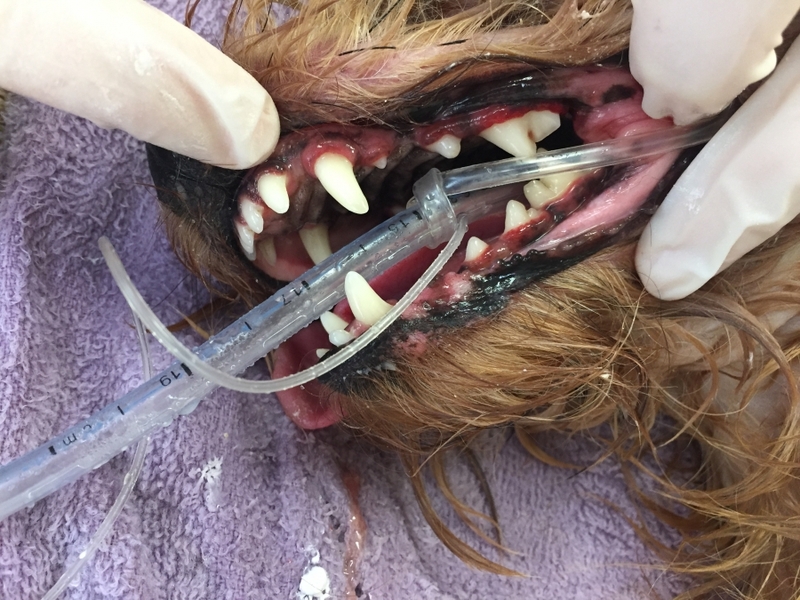 The teeth are thoroughly cleaned using an ultrasonic dental scaler to remove all tartar. The remaining teeth are polished with a high-speed polisher, thereby slowing future tartar accumulation. 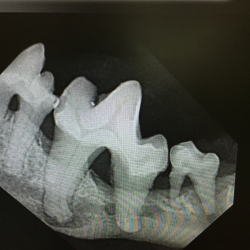 All extracted teeth have postoperative x-rays. This is to ensure that no root tips are left behind. 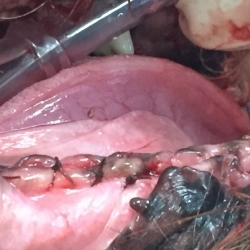 Broken root tips can be a source of pain and infection. 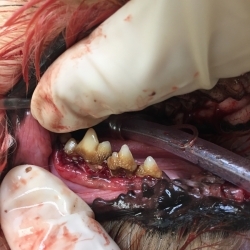 The last step is to suture the gums of all extracted teeth. This helps with healing.